ProntoForms is pleased to be featured in a new Apple iPad in Business video that showcases how mobile devices can speed up business processes. The video profiles TGM Ltd., a commercial roof and drainage maintenance firm in the UK. The ProntoForms application helped TGM to eliminate high volumes of paper forms in the field, putting all forms, including ISO documents, on Apple iPads for field workers. As a result, TGM has raised business process productivity. “We use ProntoForms that have replaced all of our paper forms in a digital format,” explained one TGM manager in the Apple business profile. “ProntoForms is proud to have been chosen as one of the feature mobile solutions in this influential Apple video. It underscores our position as market leaders and it accurately portrays just how effective and simple it is to deploy ProntoForms on mobile devices to improve any business process,” said Alvaro Pombo, ProntoForms CEO and Founder. Improving railway safety with mobile devices and apps. Founded in 2003, Avantair is a fractional ownership air travel company headquartered in Clearwater, Florida. The company provides clients on-demand flights for both business and personal travel across North America, the Bahamas, and the Caribbean. Avantair exclusively flies the Piaggio P.180 Avanti aircraft; its speed and fuel-efficiency allow Avantair to offer better service at lower cost. With its leading fuel economy, fly-when-you want scheduling and convenient monthly billing, Avantair makes travel extraordinarily efficient. Yet the company’s internal operations were slowed by paper-based business processes. Pilots sifted through pages of travel charts and checklists to plan and conduct flights. Communication from cockpit to operations center by fax and phone could be inconsistent, causing a lag in data transmission. Submitting flight data and paper expense receipts for invoicing was inconvenient and imprecise. To keep up with its own high standards of operation, Avantair sought to update its processes and improve communication between pilots and office staff. Avantair introduced tablet computers equipped with ProntoForms from AT&T for on-board document access and data entry. The company has quickly created dozens of electronic forms for pilots to use when they’re on the ground within this one environment. Tablets connect to back-end systems, enabling near real-time two-way transmission of flight information and operating updates, while MobileIron VSP from AT&T, a mobile device management application, helps to provide a high level of security for the data. The solution cuts out wasted time and bulky paper piles, and it reduces security risks of paper-based processes while trimming invoicing time by weeks. Not just a marketing tool – Data Tweets accelerate mobile business. When you think of Twitter and business, most people think social media marketing, few would guess that it’s helping rent heavy construction equipment in Texas. The power of Twitter is a real-time communications network available on any smart device. Now consider replacing marketing tweets with “data tweets”, and you have a sophisticated infrastructure for improving the speed of business. Clever CIOs are marrying mobile devices, business Apps and social media services, including Twitter, to share time-sensitive data with direct and measurable impacts on profits. One example, ROMCO Equipment, a company that rents trucks as big as a house, is using a dynamic mobile workflow with data tweets – helping them to turn around equipment for rental as much as six days faster. “Companies involved in heavy construction and mining are being very judicious on large capital expenditures – they’re looking more and more to rent. We have a very extensive fleet of heavy equipment we rent for large projects. Some of these include heavy highway construction, oil and gas infrastructure, and mining. Having multiple offices across Texas, it was crucial for us to know the exact availability of every piece of equipment in real-time. In today’s competitive environment, the old style paper process was too slow for us. 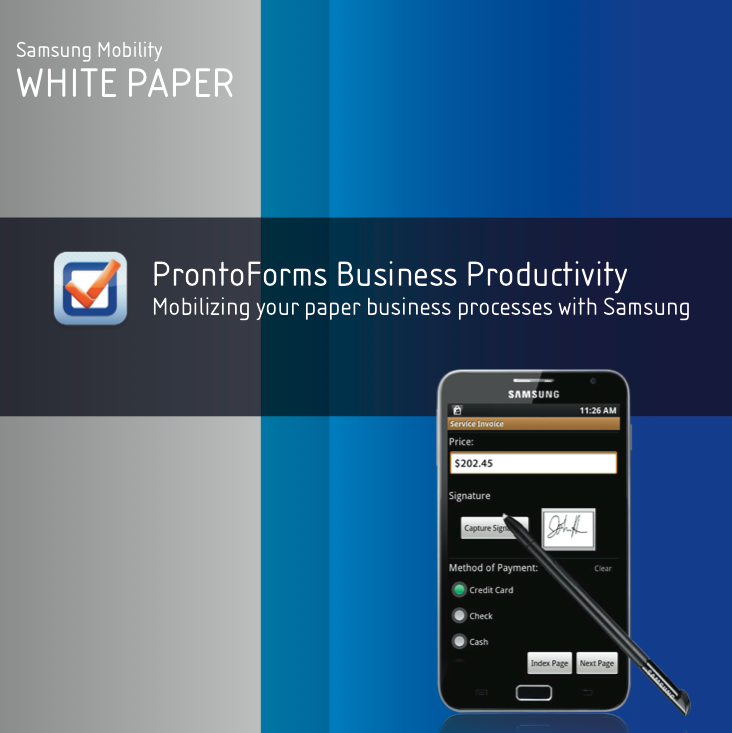 Our Operations and IT team made a recommendation to move us away from paper and fax machines, to Samsung Galaxy Tablets and a Business App from AT&T called ProntoForms. Data collected from the field is shared via a private Twitter network to all of our operations and sales people across Texas in real-time. We run a traditional distribution business, but we use cutting edge mobile technologies to get the most from our people, and better serve our customers,” explained Charlie Clarkson, President of ROMCO Equipment Co. So how do businesses leverage this powerful real-time communications network? It’s plug and play, if you have the right tools. The administrator can create a Twitter account that allows only approved followers to see Tweets – this keeps all your company data tweets private from prying eyes. The administrator can also manage registered followers, they can be blocked or removed – crucial for handling an employee who changes departments, or who is no longer with the company. Accessing real-time data can transform your information workflow, but Twitter itself is not an enterprise data solution, it’s a communications tool. Your business will require a Business App for smartphones and tablets that can interconnect with Twitter. Considering the competitive advantage of empowering your employees with real-time data, CIOs need to explore where to start integrating this solution into their mobile workflow. Like any new workflow deployment, we recommend starting small with one team in the field, 100 users or less, and then growing the solution across multiple departments. This way, you can test ROI and iron out the bugs for a larger enterprise roll out. 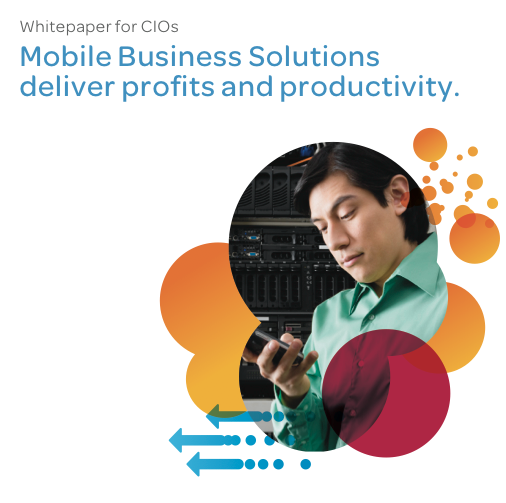 My team and I, (thanks Matthew Ross and Antoine Jothy), produced this business mobility White Paper with Samsung to document how business challenges are being resolved by mobile devices, Apps & cloud services. It also documents how businesses are now creatively intertwining Social Media into their business workflow for real-time data sharing. With Facebook reaching a billion users in August 2012 (iCrossing) and Twitter surpassing 500 million users in February 2012 (Media Bistro), it’s clear that the majority of the workforce is very comfortable utilizing these two social media platforms. As it pertains to the use of social media, mobile business solutions are now incorporating more connectivity options with these platforms. In the case of ProntoForms, the mobile solution lets users rely on Facebook and Twitter (as well as conventional email) as a team notification service for various field updates and data submissions, right to and from any mobile device. “Twitter is a part of our team notification process and it has really enabled us to turn around and rent out our equipment faster, sometimes as much as seven days quicker,” says J.P. MClain, Product Sales and Support Manager for the half-century old ROMCO Equipment Company in Texas. After undergoing an audit of its processes, ROMCO, sellers and renters of heavy construction equipment, decided to implement ProtoForms and deployed Samsung Galaxy tablets at each of its eight locations. MClain and his team are using the Samsung Tab with ProntoForms to inspect heavy machines and have also been impressed by the Tab’s ability to easily connect and report. Using a private Twitter setup and ProntoForms together has seen an in- crease in the speed and quality of communication between all eight ROMCO sites. Collectively, all locations have never been on the same page as effectively as they are today. Mobile applications must either serve a specific business purpose or be high performance in order to make the grade with any business team. Firms can certainly make use of an Apple App such as Find My iPhone, ensuring that companies safeguard their mobile assets and always know their whereabouts. But for high business performance, an App must be user-friendly, process information and tasks in a speedy fashion, and have two-way connectivity with the office. Such are the characteristics of ProntoForms, a mobile application known for the variety of tasks it can accomplish. While its name suggests a concentration on efficient form usage, it’s the robust nature of these customizable forms that makes the mobile business solution unique. An important non-profit organization in Des Moines, Iowa, the transportation services of Link Associates are a vital part of the everyday lives of the families that it serves. With roughly 1,200 individuals that count heavily on Link associates, Fleet and Facilities Director Jim Wilkie wanted to tighten up its processes and better serve its clientele. He instituted ProntoForms on iPhone devices in the field and it has been a tremendous upgrade in how the organization goes about its business. The following White Paper was developed for AT&T for Mobile Application Marketing and Sales. On an ongoing basis, companies continue to wrestle with the constantly evolving practices and new technological pace of today’s global and local business landscapes. This elevated technological pace is being driven by three powerful business game-changers – Mobile Devices (tablets and smartphones), Cloud Services, and now a relatively new phenomenon, Mobile Business Applications. Together, these elements have ushered in the age of digital-only business workflows, rendering paper-driven practices nearly obsolete. Reducing administration costs and man hours associated with transcribing paper reporting into back office systems has helped businesses become leaner and more efficient. Smartphone and tablet hardware capabilities have grown leaps and bounds over the last few years, enabling businesses to utilize mobile devices for more and more company activities. Advances in smartphone and tablet hardware have dramatically improved mobile usability, as it relates to speed, tools, data processing and storage, allowing for the age of digital-only business to truly take shape. Cloud services have also advanced the digital workflow movement, letting workers in the field store, access and share large amounts of data and work-related documents. Synchronizing company data with several de- vices has proven to be a real time-saver and leg up for businesses practicing good cloud management. It’s made firms with mobile workers lighter, increasingly agile and more cohesive as a team. Now more than ever, thanks in large part to cloud services, having workers in the field no longer slows down team collaboration. Concurrent with advances in mobile device hardware and cloud services, has been the absolute explosion in consumer application development across multiple platforms, particularly on Android and Apple OS platforms. Produced for the masses, these Apps have made consumers’ lives simpler and more convenient. However, there are limitations as to what most consumer Apps can do. Consequently, the mobile business application market has now seen its own share of incredible growth. More sophisticated and designed to handle SMB and Enterprise needs, business mobile applications are capturing the imagination of business and technology managers alike. Mobile business applications are changing how companies think about their processes, including the integration of and customized connectivity to cloud services. The main challenge for companies is to find business Apps that can handle more than just individual users or uses. Rather, business Apps must support multiple groups (teams), be secure, fully manageable, and capable of adapting to company growth, while not losing the simplicity and power that have made personal mobile Apps a part of our everyday lives. We now operate in a near limitless mobile business environment, where workers are no longer chained to their desktops – or even their laptops. Chief among these powerful new business Apps is the ProntoForms solution.More than a simple App, ProntoForms is a business workflow solution, able to dispatch office data to and collect data from the field, as well as connect to back office systems and route data to and or through cloud services. Further evidence of increased business digital workflow on the go is aplenty. For example, research firm TechnoMetrica’s 2011 findings revealed that nearly 50 percent of small businesses use smartphones as part of their processes. Moreover, according to Morgan Stanley Research, sales of smartphones are expected to exceed those of PCs in 2012. Both research results only confirm the increasing business role that Mobile Device Hard- ware, Cloud Services and Applications are going to continue to play – and how ProntoForms is well positioned to continue to be a leading mobile business solution. The pen is mightier… with the form! Samsung was launching the Galaxy Note in Q1 2012 with AT&T. Samsung and AT&T were looking for the ultimate business App that would take full advantage of the device platform and showcase all of its innovative features – including the new large screen and S pen. Enter ProntoForms, the full business App solution for a broad cross section of different business verticals. Scan bar codes, capture signatures, Geo stamp form submissions, add photos to forms… a veritable business test track for the Note. 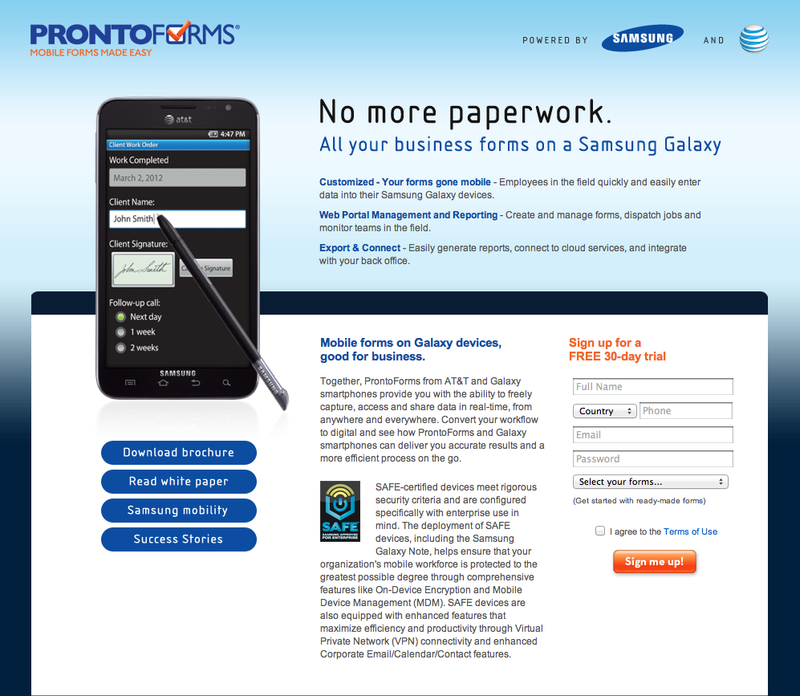 The kick off TV commercial was aired during the Super Bowl, and the Galaxy Note was offered for pre-order on AT&T’s web site – featuring only one business App solution – ProntoForms. iPad simplifies all your business-critical tasks, whether it’s managing inventory, tracking shipments, or invoicing clients. With iPad and apps from the App Store, get equipped with ready-to-go solutions to keep your operations on course. 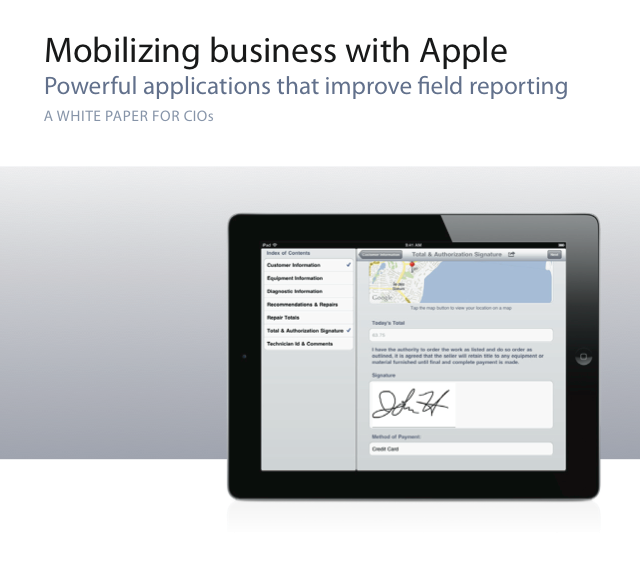 Learn more about the ways iPad can streamline essential business tasks wherever you are. your CRM database. 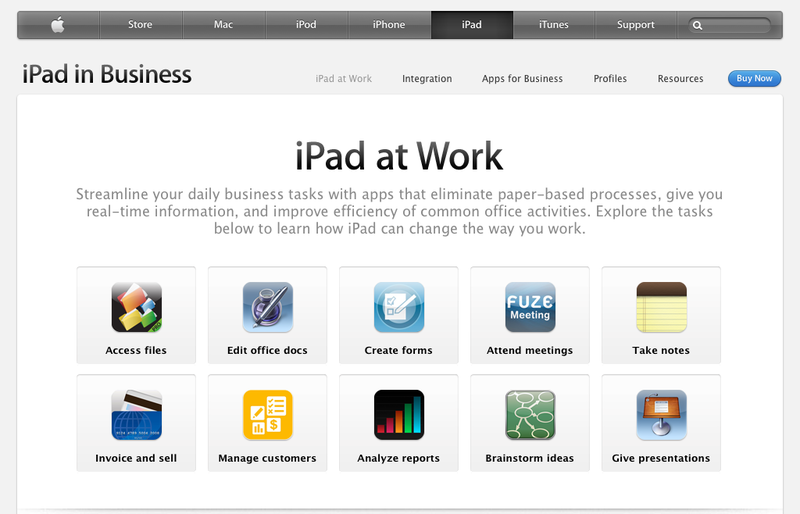 Instead, customers can enter their information right on iPad with ProntoForms, and it gets uploaded to your database. ProntoForms eliminates a mobile worker’s need to carry stacks of loose paper and folders—everything they need is on iPad. Any information collected can be sent back to the office via ProntoForms Connector.